Many factors influence how long edibles last, including dose, tolerance, metabolism, and gender. Edibles are a very popular way of consuming marijuana, and can offer a number of benefits. First, they remove the health risks linked to smoking. They are also more convenient, and can offer a longer, more potent high using less marijuana. The high from edibles lasts anywhere from 4-12 hours, but there are a lot of factors that can affect the duration and strength of the high. What Happens When You Take Edibles? Unlike smoking, it can take time to start to feel the effects of edible marijuana. Smoked marijuana enters the bloodstream very quickly through the lungs. Edible marijuana, on the other hand, has to first be digested and metabolized before you can start to feel the effects. When you consume an edible, it is digested in the stomach before travelling through the intestines and then to the liver, where THC is converted to 11-OH-THC. 11-OH-THC is much more potent than THC, making you feel higher when eating an edible compared to smoking the same amount of marijuana. The high from edibles lasts about 4-12 hours. It is important to note that it can take anywhere between 30 minutes and 2 hours before you start to feel the effects of an edible. Many people accidentally consume too much marijuana because they do not know that it takes longer to feel the effects of edibles than it does for smoking or vaporizing. The peak high is usually felt around 2 to 4 hours after ingestion. Of course, there are a number of factors that can affect how long an edible will last, and how strong the high will be. If you take a very large dose, you may experience effects for much longer than the usual 4-12 hours, and may even feel some lingering effects for a couple days. A typical starting dose for edibles is 10mg, but if you are new to edibles, you can still feel effects from smaller doses. It’s important to note that many commercial edibles have inaccurate dosing labels. 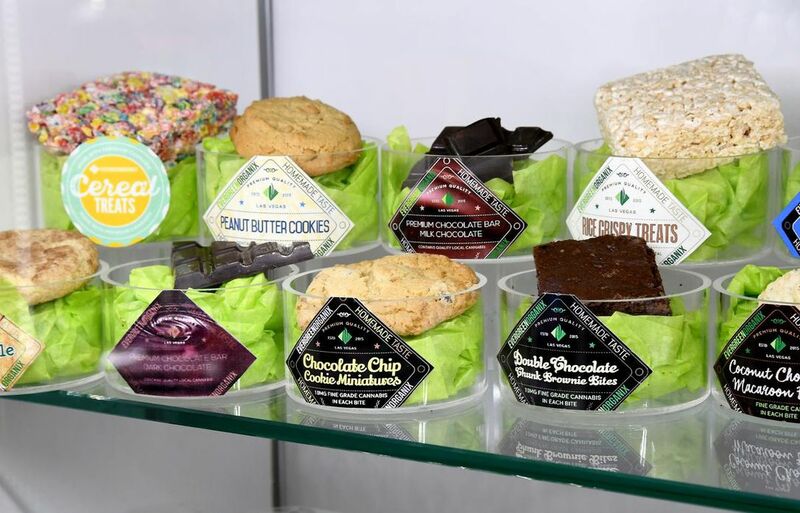 A 2015 study found that only 17% of edibles had accurate labeling of THC contents. The rest of the samples either over- or under-reported the amount of THC in the product. It is especially hard to get accurate dosing from homemade edibles. Start low and go slow with anything that you are unsure of or unfamiliar with. Your tolerance can potentially affect how long your edible high lasts. If you are a frequent marijuana user, you may not feel the effects for as long as a novice user. 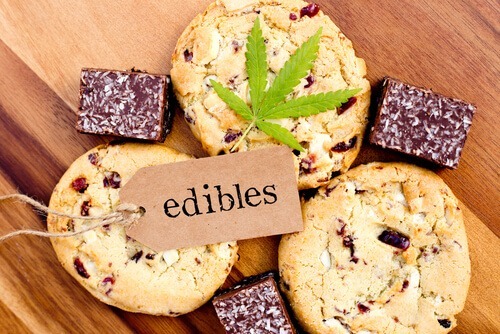 Edibles are often discouraged for people who have never consumed marijuana before, as the high may be too intense and potentially unpleasant. Much like your metabolism can affect how quickly you may feel the effects of alcohol, it can affect how quickly you experience a high from consuming marijuana. The faster your metabolism, the sooner you will feel the effects of your edible. People with slower metabolisms may feel high for longer. Women may experience the same dose of THC differently than men, and need less THC to get the same high. Of course, the relationship between marijuana and gender is very closely related to body size. A larger woman may need more of an edible to get high than a smaller man. Mixing marijuana and alcohol may result in a much stronger high, and can increase the chances of overdose. Mixing drugs can often have unpredictable effects, so it is important to always be cautious when doing so. Consuming an edible when you are dehydrated or have not eaten anything else can mean that you will experience the high all at once in a very intense way. Being well hydrated, eating an edible with a meal, and having non-marijuana snacks can help to lessen the high. The first thing to do is to remind yourself that this feeling will pass. 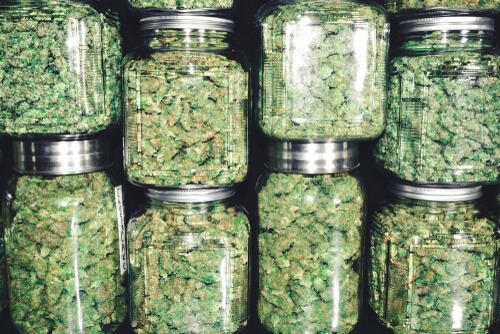 Nobody has died from consuming too much marijuana, but the experience can be very unpleasant. Drinking water and eating some non-marijuana snacks can help to curb some of the high. Try distracting yourself with your favourite TV show, movie or music. Call a friend over — having someone with you can help to take the edge off of any paranoia. Getting some fresh air can help, but do not operate heavy machinery or drive a car. For many people, sleeping off the effects is the easiest way to pass the time until they come down. Overall, it’s important to get the dose right when using edibles to prevent negative side effects. While there are many factors involved, the effects of edibles tend to last from 4-12 hours on average.